I just got back from an incredible four night stay at Disneyland Paris! I do of course have A LOT of content to share with you in the way of photos, videos and top tips so keep an eye out on my Instagram, YouTube and of course, right here on My Disney Blog! 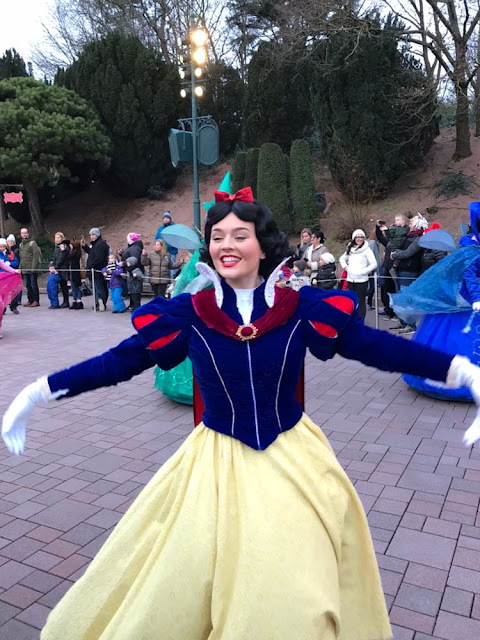 For now, as you all enjoyed my Disney Princess Hunt from two years ago so much, here is a little updated list of how you can spot each of the Disney Princesses at Disneyland Paris! Snow White is currently in Disney Stars on Parade in the Main Disney Park together with her Prince. Snow White sometimes dines at Auberge De Cendrillon. During our stay, Auberge De Cendrillon hosted Cinderella plus two Princess friends and Suzy and Perla during each sitting. Snow White and Dopey are sometimes spotted wandering the halls of the Disneyland Paris Hotel. Snow White is sometimes available to meet with at the Princess Pavilion. Currently, one princess is present during the morning and another in the afternoon. Cinderella is in Disney Stars on Parade with Prince Charming. She can be seen in her carriage. Cinderella is always at Auberge De Cendrillon... it is her home after all! Cinderella is sometimes available to meet at the Princess Pavilion. Princess Aurora can be seen in Disney Stars on Parade dancing with her Fairy Godmothers, Flora, Fauna and Merryweather. 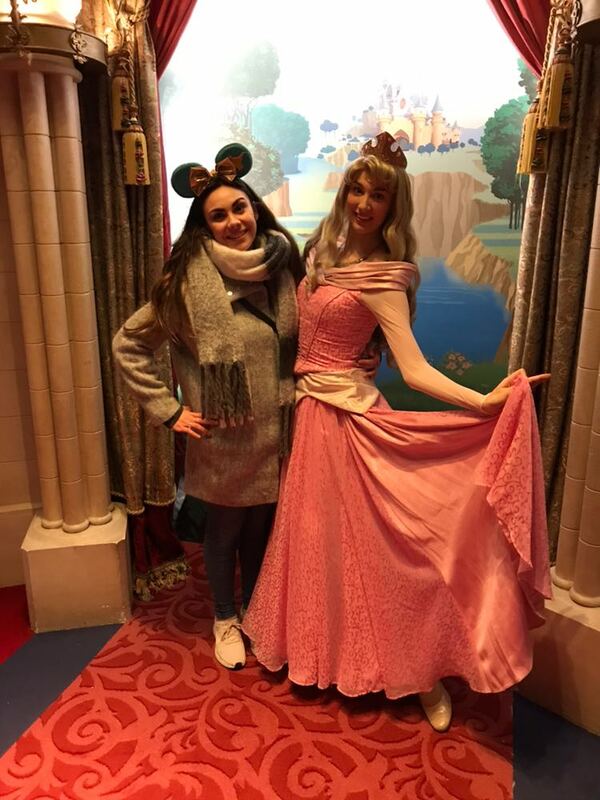 Sometimes Aurora dines at Auberge De Cendrillon. Aurora can sometimes be spotted in the Disneyland Hotel. Aurora is regularly at the Princess Pavilion. After all, it is her Castle in Disneyland Paris! Ariel can be seen in Disney Stars on Parade with Prince Eric. Ariel sometimes dines at Auberge De Cendrillon. Ariel can sometimes be spotted at the Princess Pavilion. Belle can be seen in Disney Stars on Parade along with Beast in human form. They can be spotted together in their horse drawn carriage. Belle sometimes dines at Auberge De Cendrillon. Belle is sometimes at the Princess Pavilion. Occasionally, Belle can be seen in her Blue Dress wandering the Parisian streets of Walt Disney Studios or Fantasyland. 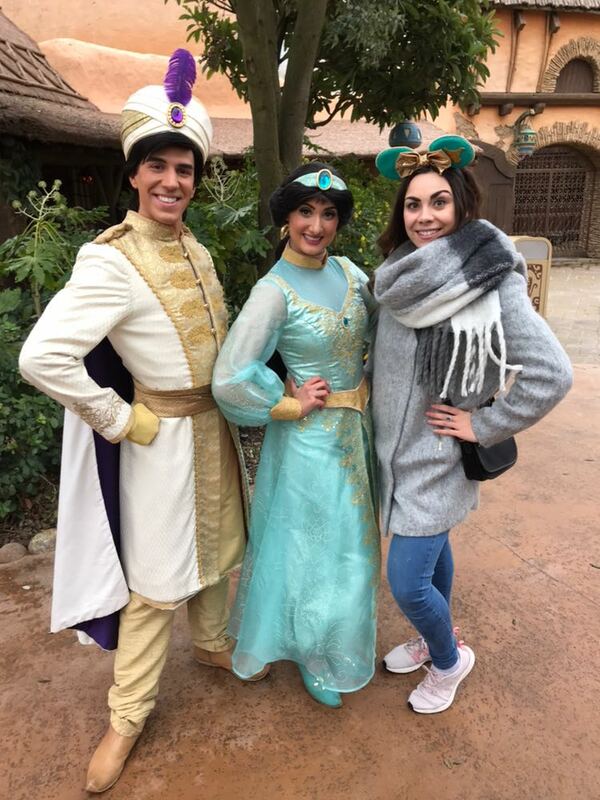 Jasmine can sometimes be seen in Adventureland with other friends from Aladdin. At present, Mulan is nowhere to be seen at Disneyland Paris. At present, Pocahontas is nowhere to be seen at Disneyland Paris. Tiana is in Disney Stars on Parade with Prince Naveen. Tiana occasionally dines at Auberge De Cendrillon. Tiana occasionally features at Princess Pavilion. Tiana can occasionally be spotted roaming Fantasyland. 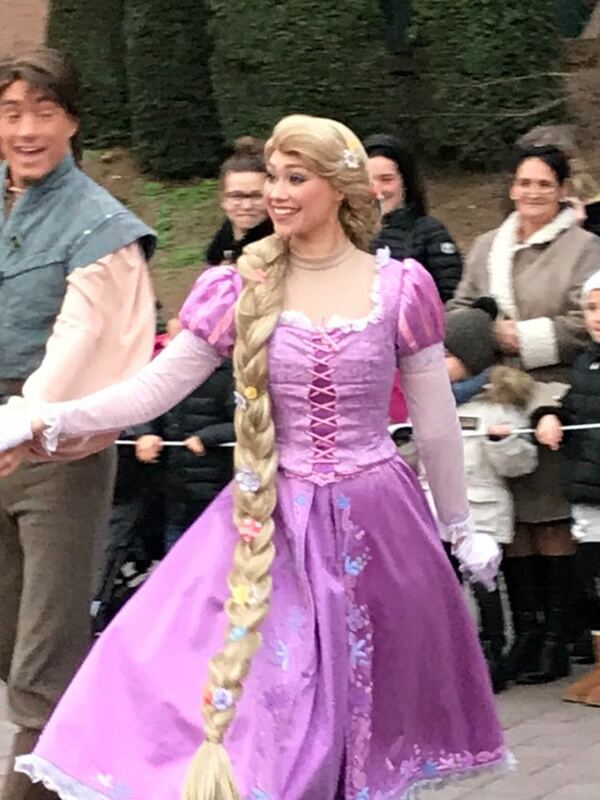 Rapunzel and Flynn Rider can be spotted in Disney Stars on Parade. Rapunzel sometimes dines at Auberge De Cendrillon. Rapunzel and Flynn Rider are sometimes present at the Disneyland Hotel. Rapunzel sometimes features at Princess Pavilion. Ocassionally, Rapunzel can be spotted roaming Fantasyland. At present, Merida can occasionally be spotted in Frontierland. Merida occasionally dines at Auberge De Cendrillon. Anna and Elsa can be spotted in Disney Stars on Parade along with Kristoff and Olaf. 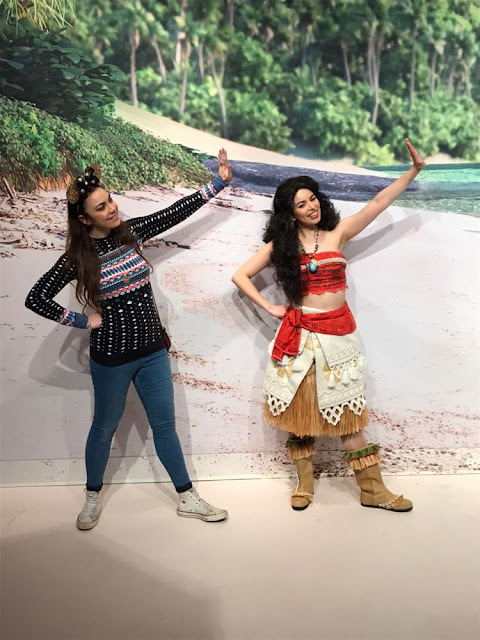 Moana was teaching me all the moves! Moana can be spotted in the Animation Building at Walt Disney Studios.